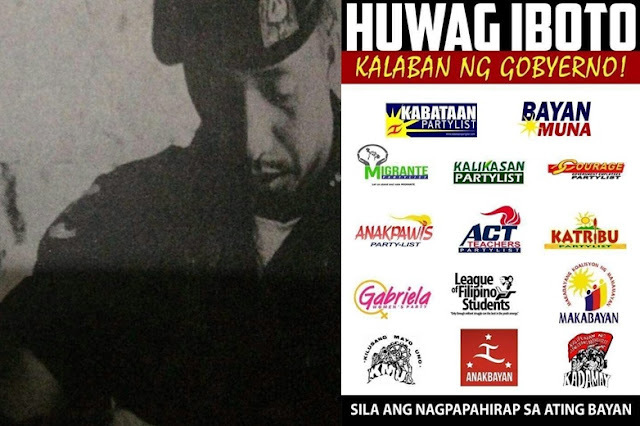 A former member of the Philippine Army's elite Scout Ranger Regiment, Sir Abe Purugganan made an interesting expose on social media and urged his followers not to vote for the communist party-list groups. According to Abe Purugganan, the former Intelligence Officer of the Philippine Army, we should work together to discampaign these Partylist Groups of our enemy CPP-NPA-NDF. The veteran Army Ranger revealed the eight list of Partylist Groups belonging to the Makabayan Bloc. These partylists includes ACT-Teachers, Anakpawis, Bayan Muna, Kabataan, Manggagawa, Gabriela, Peoples Surge, and Aksyon Health Workers. Let us help in this campaign. Campaign not to vote for these communist party-list groups. Let us work together to discampaign these Partylist Groups of our enemy CPP-NPA-NDF. Makiisa, makialam at wag hayaan na lamang na isang araw hawak na tayo ng komunista.